Hair loss in women is quite different when compared to men. 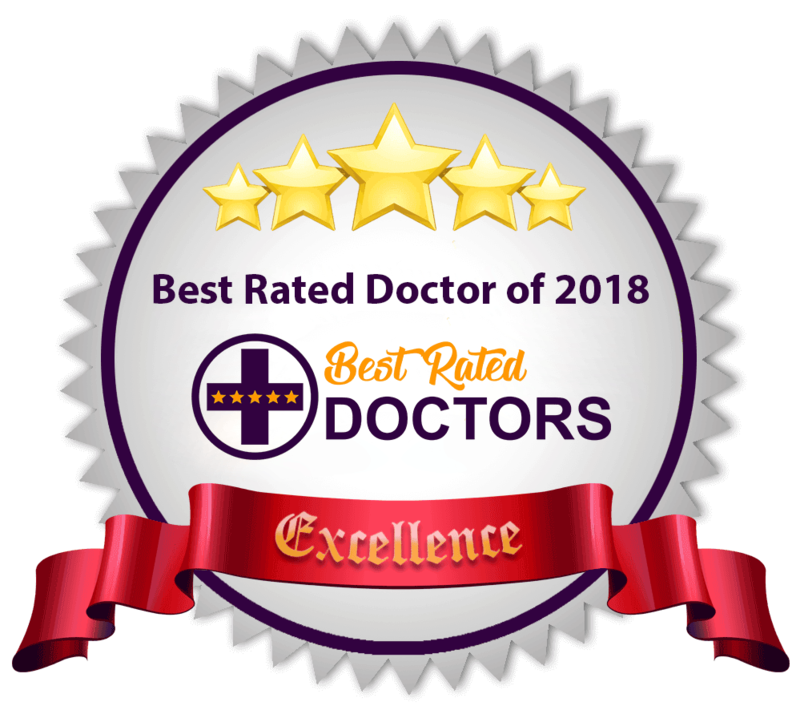 According to our female hair loss expert in Delhi, Dr Monika, the predominant cause of hair loss in women is also androgenic alopecia but the typical male pattern is usually not present. In women, many other causes of diffuse hair fall like iron deficiency, thyroid problems or hormonal imbalance are also responsible. Female hair loss treatment in Delhi by Provelus uses special serums, mesotherapy, PRP hair therapy or Laser treatments for recovery, but late stages may require hair transplant. The women hair loss typically involves hair thinning in a large area with sparing of frontal fringe. 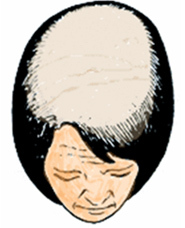 This so called female pattern baldness has been divided into three stages, called Ludwig Stages. 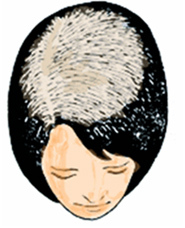 women hair loss.This is the earliest stage of women hair loss, showing mild thinning of hair in central scalp which manifests as widened hair parting. Hair transplants are generally not required at this stage. Our female hair specialists in Delhi inform that this early hair loss responds well to medical therapy. Female hair loss treatments like PRP therapy, Meso-Therapy, Laser and Medical Treatment are offered. The hair loss at this stage can also be easily camouflaged by changes in hair style and grooming patterns. 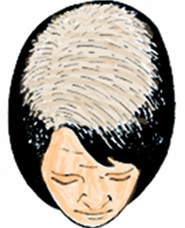 In this stage the hair thinning is more severe and more extensive involving larger area of the scalp. Hair loss is apparent under all lighting conditions and is difficult to camouflage. However, there are no areas of absolute baldness and frontal fringe is not involved. Hair transplant should be considered at this stage of women hair loss and gives very good results. PRP Therapy, Meso and Laser Therapy with Hair Transplant is a good option for women in this stage of hair loss. Our hair loss clinic offers all these options at an affordable price toDelhi-NCR clients. Hair thinning is even more with areas of absolute baldness and involvement of frontal fringe in final stage of women hair loss. There may be thinning in donor area as well. Hair transplant will give good results in such patients if donor area characteristics are good. Hair Transplant with Medical therapy is available for treatment of female hair loss at Provelus Hair Clinic in Delhi-NCR.